It’s really starting to get down to the business end of the 2011 Dextro Energy Triathlon ITU World Championship Series and what better way to kick that off than one of the biggest events of the entire year, London. Not only is this weekend’s round crucial in determining who will be the 2011 ITU World Champions, it’s the first and last time athletes will be able to race the exact London 2012 course before next year’s Olympic Games and a bevy of National Federations have set it as a major—in some cases automatic—qualifier. Also, the top three finishers from the women’s and men’s races will secure their countries automatic Olympic spots. With all that at stake, it’s not surprising the London fields are loaded with talent. What’s more, all that talent will be aiming to peak at exactly the same time. What does that all mean? Get set for fast, furious and thrilling racing this weekend on the Olympic course. London has been on the Dextro Energy Triathlon Series calendar since the series began in 2009, but this year’s course is new. It starts with a one-lap swim in The Serpentine in Hype Park, the bike leg circles past Constitution Hill and Buckingham Palace, before the 10km run that finishes back in Hyde Park. It’s been designed with plenty of viewing points for fans and the athletes will pass back through transition over ten times during the race. Paula Findlay has dominated each series race she has entered this year, claiming a string of wins in Sydney, Madrid and Kitzbühel. Add in that she’s the defending London champion – it’s hard to back any other winner. But out of any race so far this season, London also looks like the hardest one for the 22-year old Canadian to win. Firstly, Findlay was forced to pull out of her first Edmonton World Cup appearance because of an injury, and hasn’t raced an ITU event since Kitzbühel in June. Secondly, it’s Nicola Spirig. After stress fractures delayed her season start to Hamburg, Spirig surprised the field with a swim leg that rivalled the leaders. In the past, Spirig’s swim has always been her Achilles heel and she’s relied on her excellent bike leg to pull her up to the leaders for the run. There is even a name for it, the ‘Spirig Train’. But in Hamburg, she came out of the water among the leaders. She couldn’t break away in Hamburg and London’s fast, flat and technical bike leg is very similar, but don’t be surprised if she puts the burners on in the bike in London. Particularly as Findlay hasn’t really been pushed by a breakaway yet this season, while Sarah Haskins and Helen Jenkins tried to get away in Kitzbühel they eventually fell back in the back, and Findlay won again. Spirig has been on the podium twice in London, including a victory in 2009. Thirdly, reigning ITU World Champion Emma Moffatt claimed her first podium of 2011 and her first series win since 2009, while Olympic champion Emma Snowsill managed to exit the swim with the leaders for the first time this season and turned that into a podium place. The Australian girls also have plenty of incentive to win, because only victory and a top three in the overall 2011 series standings will automatically gain them a spot on the Olympic start line. Findlay only needs to finish in the top eight in London to qualify according to Canada’s selection criteria. Then there is Jenkins, who has come closest to beating Findlay this year, twice finishing runner-up, and will be keen to do well at home. She’s finished third both times in London before. Chile’s Barbara Riveros Diaz, who is currently leading the series rankings with 2497 points, ahead of Findlay’s 2400 points, and Andrea Hewitt. Hewitt is third with 2318 points. As New Zealand have picked London as an Olympic qualifying event, Hewitt has extra motivation as she can secure her Olympic berth with a good performance. Other National Federations with qualifying relying on London are France, Germany and the U.S, so keep an eye on Emmie Charayron, Sarah Groff, Laura Bennett and Svenja Bazlen. Also watch out for where Anja Dittmer and Kiyomi Niwata finish. As the only two women to have competed at each of the three previous Olympic triathlons, both are aiming to make their fourth consecutive Games. The Australian women did it in Hamburg, and there is a chance that Team GB could claim a British 1-2-3 at home with the form of Alistair Brownlee, Jonathan Brownlee and Will Clarke. So far this year Alistair has surged ahead in the Dextro Energy Triathlon ITU World Championship Series record books. His wins in Madrid and Kitzbühel took his overall series victories to a total of nine. Younger brother Jonathan, who stepped on the world stage in a big way with a win at first ever ITU Elite Sprint Triathlon World Championships in 2010, has been equally impressive with two silver medals from Sydney and Madrid and a silver in the European Championships, finishing behind his brother twice. Then there is Clarke, the 25-year old former Under23 ITU World Champion who was part of the British team at the 2008 Beijing Olympics but scored some of the best results in his career in 2011. After a career best fourth in Kitzbühel, Clarke went one further and claimed his first podium in Hamburg. There he pushed Brad Kahlefeldt and David Hauss all the way, before Kahlefeldt just edged the field in a thrilling sprint. There are plenty of athletes who will be aiming to spoil the party for the Brits though, and top of the list is reigning World Champion Javier Gomez and Olympic champion Jan Frodeno. While Gomez had a stellar start to the season in Sydney, he’s been just slightly off his world beating form since then finishing third in Madrid and then sixth in Hamburg. But the Spanish champion got that winning feeling at an ITU Premium European Cup event on July 31. He is also the defending champion in London. In that race last year, he pushed the Brownlees to their limit in a thrilling run that broke Alistair. Instead, Frodeno ran into his place on the podium, and if anyone is ready for a podium place in 2011, it’s Frodeno. The reigning Olympic champion faded in Sydney to finish down the order, had a decent sixth in Madrid before a stray bolt that landed in his wheel in Hamburg ended his chances there. As London is an Olympic qualifier for Germany, Frodeno will be out for a top performance in London to secure the chance to defend his Olympic gold. This weekend’s race is also a qualifying event for France - so watch for Hauss and Laurent Vidal. While New Zealand’s multiple Olympic medallist Bevan Docherty will be gunning for a top ten performance so he’ll have a chance to win a record breaking third Olympic medal. On Olympic history, also keep an eye on another multiple Olympic medallist Simon Whitfield, as well as veterans Tim Don, Hunter Kemper and Ivan Rana. These four all competed in Sydney, Athens and Beijing and are targeting a consecutive fourth Olympics. The 2011 Dextro Energy Triathlon ITU World Championship London gets underway with the women’s race at 8.30am (local time) on Saturday 6 August , followed by the men’s race at 1pm on Sunday 7 August. Follow every movement live through Triathlon’s live video, timing and text updates at www.triathlonlive.tv. Follow on Twitter at twitter.com/triathlonlive. The 2011 Dextro Energy Triathlon ITU World Championship Series London event is an important Olympic qualifier for any National Federations, have a look at some of the athletes who could secure their spots next week. 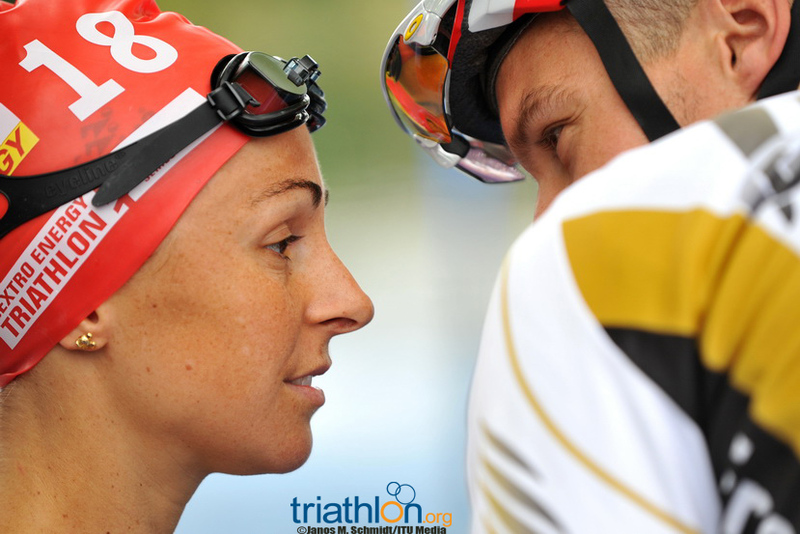 The ITU's international triathlon circuit is also the battleground for Olympic qualification. The two-year period, from June 2010 until May 2012, is an intensive journey for athletes.